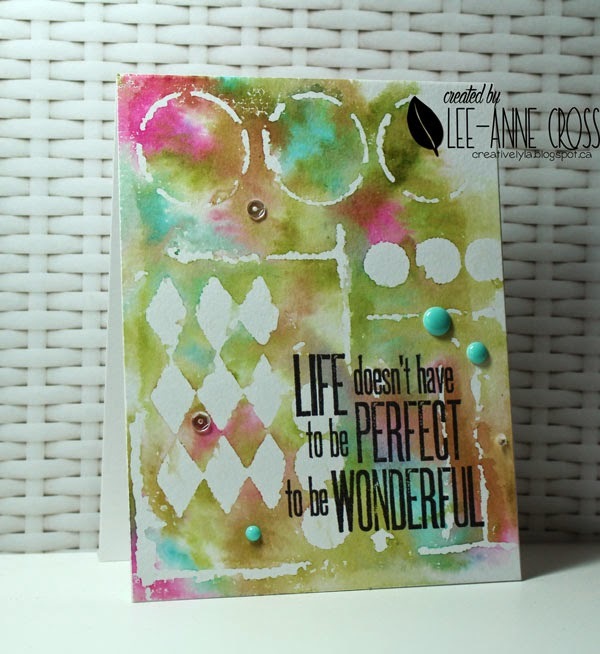 Still working on my Hope You Can Cling To Challenges for Splitcoast Stampers. I’ll be sharing my cards for this card drive here and there over the next couple of months. If you haven’t tried this technique, simply ink up your stencil, preferably one with some white space. Mist it with water and turn it over onto your watercolor paper. Take a rag and press down…let it sit for a while before lifting the stencil off your paper. Then allow it to dry before you stamp on it. Ooh, I love this, Lee-Anne! One of my favourite techniques, and I love the colours you chose. This is a fabulous card – love the gorgeous images and colours you've used.